The company extends its reach to 12 Brazilian gateways in 2014. 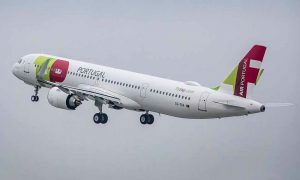 TAP Portugal announced the start of operations to Manaus and Belem, both cities in Northern Brazil, as of the beginning of June 2014. With the addition of these new destinations to its network, the company increases to 12 the number of gateways operated in Brazil and further strengthens its positioning as the world’s leading airline in operation to that key market in South America. 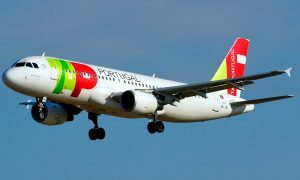 The operation is to be launched with three weekly frequencies – on Tuesdays, Fridays and Sundays – and flights will operate the route Lisbon – Manaus – Belem – Lisbon, thereby allowing TAP to enter for the first time into Northern Brazil, a region with great potential for tourism and where the offer of international flights is still very scarce. 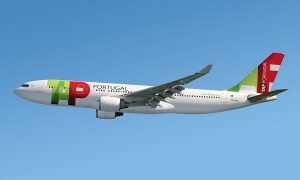 Out of Portugal, flights will depart TAP Lisbon hub at 09h30 and arrive in Manaus at 13h40. After one hour turn-round time flights go on to Belem arriving there at 17h40. At 19h10 return flights depart Belem with arrival in Lisbon at 06h45 (following day). The introduction of these new services will not only allow TAP to access and fly direct traffic between North Brazil and Europe, but also to increase the seat availability in other TAP operated routes in Brazil, which nowadays and due to the company’s high load-factors can hardly meet the increasing demand. Manaus currently has a population of 2.3 million people and is the capital city of the State of Amazonas, which in the whole has a population of 3.6 million people. As the main gateway into Amazonia, Manaus is also a fast growing region in Brazil. Belem is the capital city of the State of Para, with a population of 7.8 million people, of which 2.25 million in Belem only. The city is an important eco-tourism destination and a gateway into Amazonia as well. Currently, neither Manaus nor Belem have direct flights to Europe in operation. Thus, the launch of TAP direct flights to those cities, that are the gateway into North Brazil, represent quite a significant step forward. From June 2014 onwards, customers will be provided with the most convenient and fastest connections to Lisbon and many other destinations beyond across the company’s European network. Currently, TAP operates direct flights to 10 gateways in Brazil: Fortaleza; Natal; Recife; Salvador; Brasilia; Belo Horizonte; Rio de Janeiro; Sao Paulo; Campinas and Porto Alegre, adding in the whole to 74 weekly frequencies operated in average. With the introduction of Manaus and Belem as new destinations, TAP will from now on cover all regions in the country, considerably reinforcing the reach of its network in Brazil.